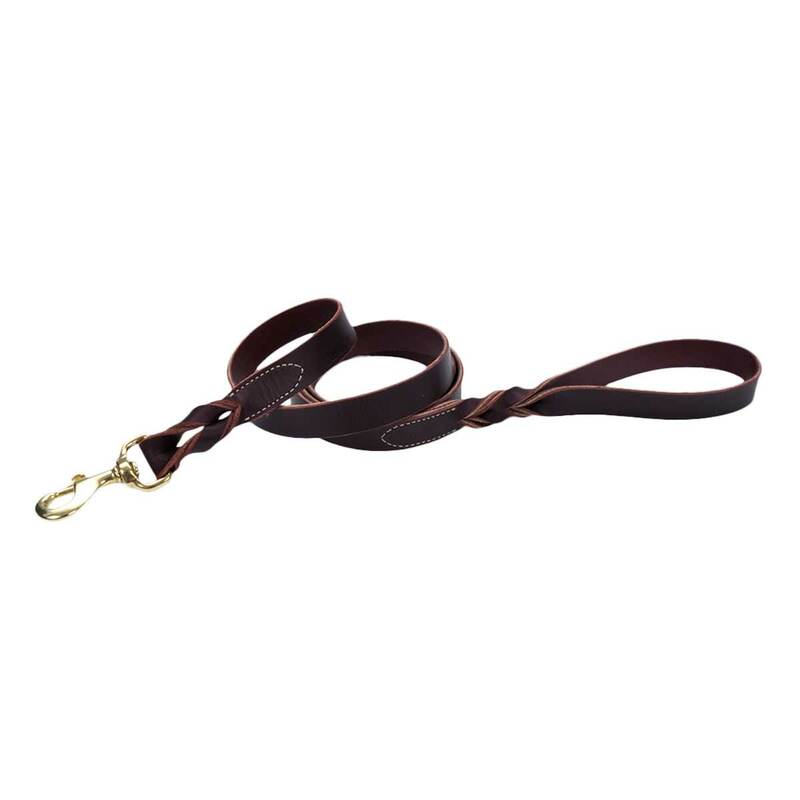 Latigo leather is great for all purpose and training leads due to its strength and exceptional durability. These leads are finished with a twist braid and brass hardware for an elegant touch. (Measures: 6'L x 1W)."